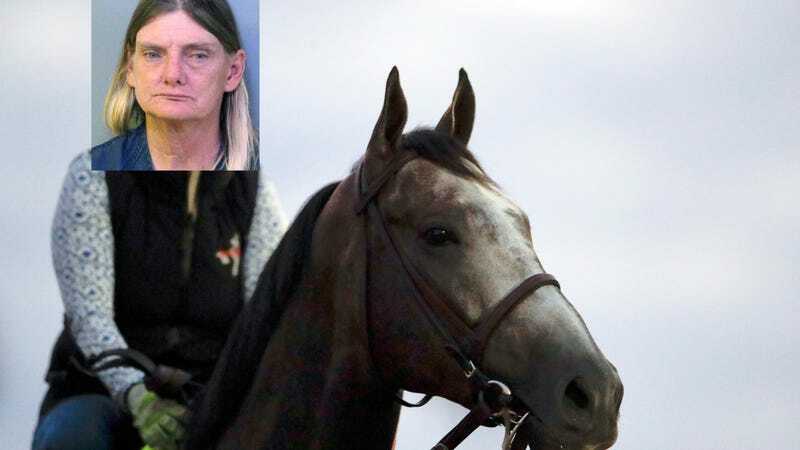 A Florida woman was stopped and arrested for “driving under the influence on a horse” on Thursday, according to police. Fifty-three-year-old Donna Byrne was caught recklessly riding a horse Thursday in Park City, Florida. A (fellow?) motorist was concerned for the safety of Byrne and the horse after she (the human) appeared to be intoxicated, so they called the police, according to the AFP. It surely seems like Byrne has learned a stern lesson here, and going forward will take better caution at neither riding, nor dying.